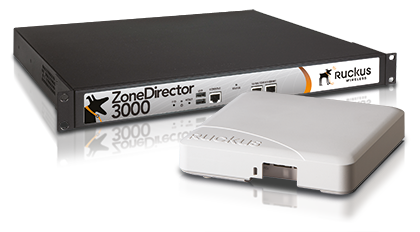 Ruckus is a pioneer in the wireless infrastructure market, enabling Schools, Sixth Forms, Colleges and Universities to stay ahead of the increasing demand for high-bandwidth applications and services. Ruckus Smart Wi-Fi technology redefines what’s possible in wireless network performance, with flexibility, reliability and affordability. Following an on-site survey, the Ruckus Wi-Fi solution will be designed, identifying the locations and most cost effective type of Access Points (APs) to be deployed, together with the required structured cabling infrastructure to serve them. It is important that a suitable Firewall is installed as part of the Wi-Fi solution. This will filter content that adheres to the site Internet Usage Policy and segregate networks between the required users, including guest usage. Getech has a wealth of experience in designing and implementing copper and fibre structured cabling solutions. Our cabling infrastructure will connect all of the Ruckus APs to the Local Area Network (LAN). This allows connectivity to the outside world using the Google Cloud. Our engineers are fully trained and all of our Cat5e and Cat6 installations are provided with a 25-year guarantee. As an Authorised Partner of BT, Getech is ideally placed to handle your Internet connectivity requirements. BTnet, the UK’s number one leased line Internet access service, delivers a direct, uncontended service. BT can enable your site by guaranteeing the required bandwidth for the site usage, which is protected via a Service Level Agreement (SLA). We will provide advice and help manage the installation with BT, to ensure a smooth implementation.